With a good selection of well priced wine it was bound to happen that one of their wines would make the WW. 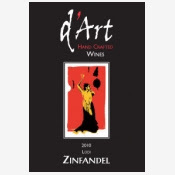 D’Art Wines 2010 Zinfandel is the WW this week. 300 cases made and from the Mokulumm sub-appellation of Lodi. The soil in this area is a sandy loam which has produced a rich but soft wine with very soft tannins. Fermented in micro bins and barrel aged for 18 months in American oak. This is not your typical Zinfandel from the Lodi area. At **** and rated a 6 plus by Koala on the official scale this is a great drop. Go by D’Art Wines and check out all their offerings, both wine and art, you will be glad you did. 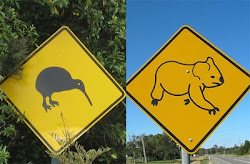 Tell em Kiwi and Koala sent you.